Sean Cleary, MBA, co-founded BlackRock Metals in 2008 and has over 20 years of experience in financing mining projects, mergers and acquisitions, corporate financing and scaling up companies. He was Executive Chairman & Head of Corporate Development of Groupworks Financial Corp., (now People Corporation) (TSX-V: PEO), Senior Vice-President of Quest Capital (now Sprott Resource Corp.) and co-founder and Chief Financial Officer of Caratax Management Ltd., a Canadian mining fund. He also served as director of private and public companies. He holds a Masters of Business Administration and a Bachelor of History from the University of Western Ontario. Jean Rainville, B. Eng. Mining, B. Comm., has over 40 years of experience in the mining industry and financial markets. One of the founding members and the first employee of the Company, he served as President & CEO of BlackRock Metals from July 2008 until January 2018 when he transitioned to his current position with the title President. Jean is also a member of the executive committee and the board of directors of BlackRock Metals. Jean Rainville has worked as an engineer, fund manager and corporate financing manager, and also served as Director of several private and public companies. He holds a Bachelor of Mining Engineering and Metallurgy as well as a Bachelor of Administration from McGill University. Gus Hiller, B.Sc. Metallurgical Engineer, President of Pinnacle Consulting since 2007. He has many years of demonstrated track record in operations management, corporate restructuring and consulting experience in iron ore and coal mines, pelletizing, DRI and HBI plants, sinter and blast furnace operations and various EAF steel plants both greenfield and distressed. As part of his responsibilities at Pinnacle, he is CEO of Hamilton Specialty Bar, since 2008, a EAF and bar mill operation. Prior to Pinnacle, he was a metallurgical engineer or had senior operational management responsibilities at AK Steel, Phelps Dodge, Birmingham Steel and Nucor where his duties included mining exploration, project development, M&A, sales, general management and senior management positions. He holds a B.Sc. in Metallurgical Engineering from the University of Arizona. Patrice Beaudry, Eng., MBA, PMP, has over 25 years of experience in project management, procurement and business development. Prior to joining BlackRock, he served as Vice-President, Projects at Consolidated Thompson Iron Mines Ltd. and Vice-President Projects-Procurement-Operations and International Development at Railpower Technologies. He also held the position of Senior Vice-President, Vice-President and Director of Alstom Transport, Invensys PLC, Walsh Automation and Rosemount Instruments Ltd. Patrice Beaudry holds an MBA and a Bachelor of Electrical Engineering from the Université de Montréal. David Alan Caldwell, BSc Geology, BSc Geophysics (University of Minnesota Institute of Technology), Msc Geology and Geochemistry (New Mexico Institute of Mining and Technology), PGeol. Consultant and Corporate advisor and world expert in VTM deposits with over 28 years of experience in the development and extraction of mineral resources working. In 2008, he co-founded BlackRock Metals, where he now serves as Director and Advisor. 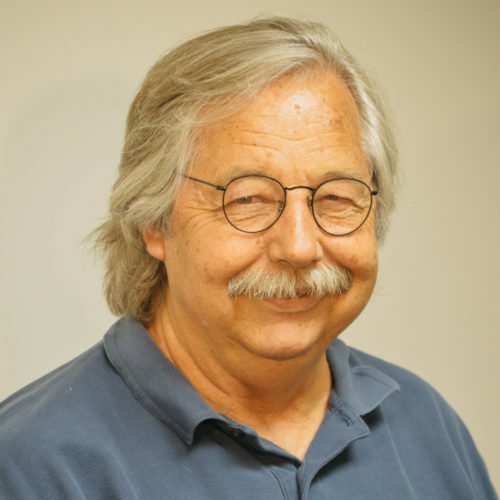 He is a current Director and past President of the Geologic Society of Nevada, former Trustee of the American Exploration and Mining Association and has served as a Director for community development projects in his local community. Mr. Caldwell has participated in the management of exploration and feasibility-level geometallurgic evaluation and development of projects for Gold Fields Mining Company and Santa Fe Pacific Gold prior to stepping away from the major miners as a project generator to co-create and advise several public and privately traded companies. He has played key management roles in the start-up of several mining operations in North and South America including open pit gold and silver mines at Mineral Ridge (NV-USA), Magistral (Sinaloa, Mexico) and Los Lomas (Piura, Peru), and ultra high-grade underground molybdenite (a steel additive and high tech lubricant) at the Ashdown Mine (NV-USA). Mr. Caldwell has over 10 years of direct experience in the steel additives sector and has led BlackRock’s geologic team through the feasibility of the project. 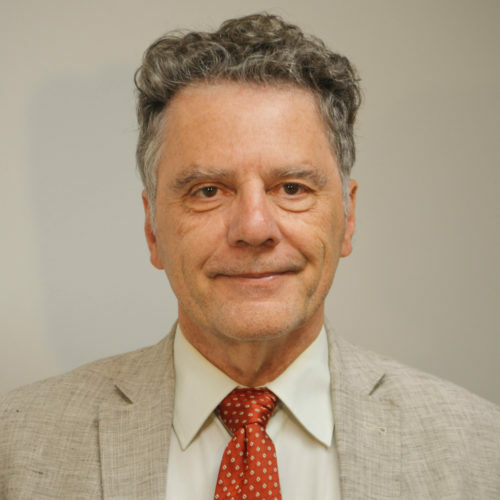 Pierre Cossette LL.M is a lawyer and member of the Quebec Bar since 1981. He has 30 years of experience in legal counseling, project development and energy management in the Primary Metals Industry. Prior to joining BlackRock Metals Inc., he was Director, Energy, North America and Director, Strategic Agreements, Cameroon Projects at Rio Tinto Alcan. As such, he was responsible for the development and implementation of energy supply strategies, major contracts negotiations for Alcan smelters and power plants in Canada and Africa and project development and negotiations with First Nations. Previously, he held the position of Director of Alcan Primary Metal, Legal Department in charge of a team providing legal services to Alcan plants in Canada. Pierre holds a law degree (LL.L) from Université de Montréal and a Master in International Business Law from McGill University. Yves Desrosiers, P.Eng Met., joined BlackRock Metals Inc. as Vice President Operations Mine in 2018. He is a metallurgical engineer with a demonstrated track record in mining and over 20 years experience in production management. Until recently, he was the Chief Operating Officer and General Manager at North American Lithium, where he ran operations. Prior to North American Lithium, he was General Manager at Nyrstar Langlois Mine. 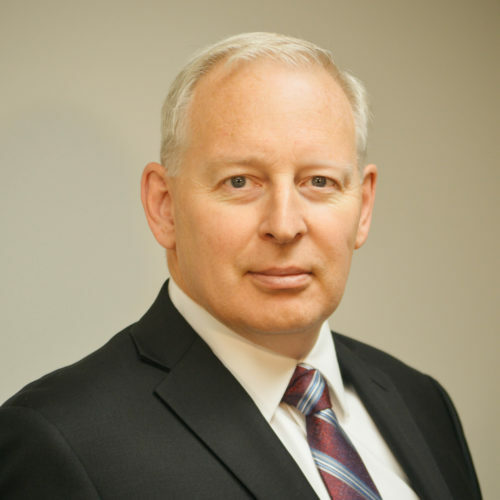 Mr. Desrosiers also had a number of roles during his time with ArcelorMittal in Contrecoeur and Fermont where he was General Foreman, Furnace Manager, Concentrate and Crusher Manager, Mine Manager and then Deputy General Manager. He holds a BA in Metallurgical Engineering from Laval University. Mr. Dumont joined Blackrock Metals Inc. as Vice-President Finance in April 2017. Before joining Blackrock Metals, Mr. Dumont held the position of Vice-President of Finance for Stornoway Diamond Corporation, a Quebec based diamond producer. For 3 years, Mr. Dumont closely participated in the successful construction project of the Renard Mine. Prior to this, Mr. Dumont spent 6 years, 3 of which were in Paris, with La Mancha Resources, a subsidiary of the AREVA Group, with three operating gold mines in Africa and Australia. With more than 25 years of experience in financial reporting, control, and compliance in a variety of industries, from mining, international trading and shipping, Jean-Charles brings valuable expertise to the team. He holds a bachelor’s degree in Business Administration from HEC Montreal, and is a member of the “Ordre des comptables professionels agréés du Québec – CPA” since 1994. Alexandre has been a government affairs consultant at HATLEY Strategy Advisors since 2013 and has been working with BlackRock since 2014. Before joining HATLEY, Alexandre worked at various ministerial offices in Ottawa. He contributed to the development of foreign policy initiatives while in the office of the Hon. Lawrence Cannon M.P., C.P. before joining the office of the Hon. Jason Kenney M.P., C.P. 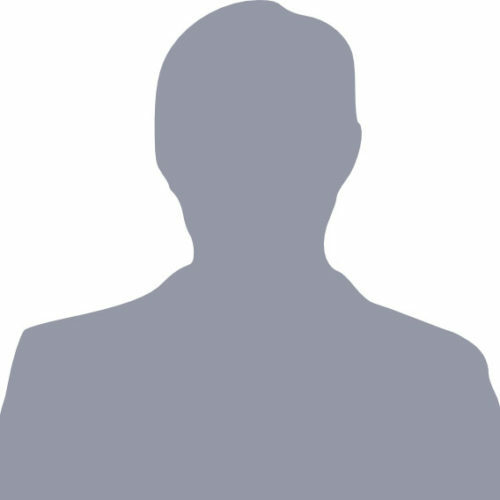 where he was responsible for relations with cultural communities in the Greater Montreal Area and for communicating numerous government policies. He holds a bachelor’s in political science, economics and philosophy from McGill University as well as a Master’s (M.Sc.) in Strategy from HEC Montréal. Dan Nir has held various corporate development and investment banking positions in Toronto and New York and has advised clients on numerous mergers & acquisitions and corporate finance transactions. Prior to joining BlackRock Metals, he worked in the investment banking groups of Jefferies & Company, CIBC World Markets and Wellington West Capital Markets where he was responsible for structuring, negotiating and executing mergers & acquisitions mandates as well as equity and debt capital markets transactions. Dan holds an Honours in Business Administration and an MBA from the Richard Ivey School of Business at the University of Western Ontario. Carl Savard, BA, joined BlackRock Metals Inc. as Vice President of Human Resources in 2018. He has over 20 years of experience in organizational and HR development and building high-performance business cultures necessary for future growth. Prior to joining BlackRock Metals, he was a Human Resources executive at Goodfellow and Quebecor. He holds a bachelor’s degree in Industrial Relations from Université du Québec à Montréal and did follow on studies at the Richard Ivey School of Business (Leadership Program) at Western University. David Dufour, B.Sc.A. started working with BlackRock Metals in January 2015 and is now Regional Director in Saguenay. He has over 25 years of experience in the field of economic and strategic development. Mr. Dufour has worked as a land surveyor, project manager and director of municipal economic development. He has also worked as a senior political advisor to the Quebec government. He is very involved in Saguenay where he works in close collaboration with his region. Mr. Dufour and his family live in Saguenay-Lac-St-Jean. With his experience in major projects and his understanding of regional issues, Mr. Dufour represents BlackRock Metals for local discussions and decisions in the Saguenay region. He holds a Bachelor’s degree in geomatics sciences from Laval University. Mr. Dutton has been working with BlackRock Metals since 2016 and recently took on the role of Director of Vanadium Process and products in the company’s technical services group. He has 24 years of experience in the iron, steel, titanium, alloys and vanadium industry. He worked for Anglo America at Highveld Steel and Vanadium in South Africa. He also worked at Vanchem Vanadium Products in the Vanadium Chemical, Oxides & FeV Operation, Vanadium Market Development, Vanadium Mine Development, R&D and Analytical Services. In 2011, he founded Symphony Trade & Investments where he marketed commodities such as vanadium chemicals, alumina, iron ore, coal, chrome concentrates, manganese ores. At Symphony he also developed Iron, Steel and Vanadium projects including vanadium battery electrolyte manufacturing including system installations for the South African telecommunication industry. He is educated in Metallurgical Engineering (Extractive) and Chemical Engineering. Richard Saint-Jean is a mineral processing technician with more than 23 years of experience in mining. He was Concentrator Manager for the Troilus mine open-pit gold/copper mine at Chibougamau, where he has worked for the past 14 years. He was involved in the start-up of four concentrators (Meston Resources, Graphicor mine, Cambior and Troilus mine). He has worked closely with the First Nations, including the Cree communities, for over 15 years. Richard Saint-Jean lives in Chibougamau, where he is an active member of the Chamber of Commerce.